On January 28, 1986 CNN was the only national broadcast network to carry the explosion of the Space Shuttle Challenger on live TV. Today, CNNVR has brought that viewing experience back through virtual reality. 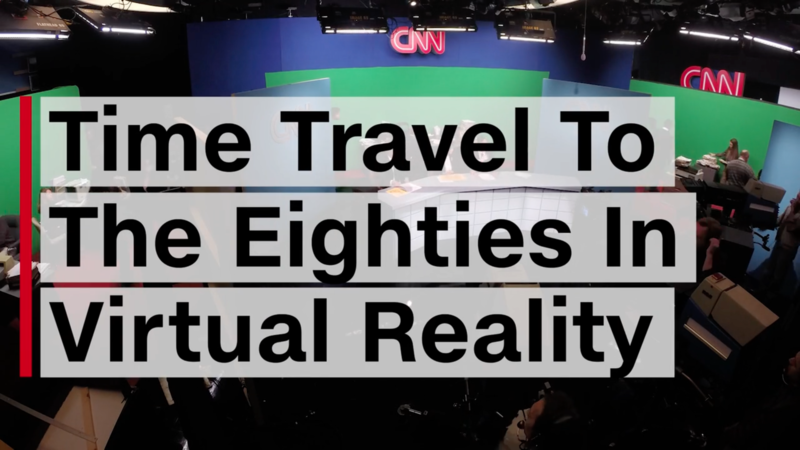 In partnership with TimeLooper, a location-based time travel app known for its ability to take users back to a specific point in time through virtual reality, CNN embarked on an incredibly ambitious VR reenactment shoot: rebuilding a version of the CNN studios circa 1986 to bring users back to the moment of the Challenger explosion. Archival footage from inside the CNN studio that day and consultation with current CNN staffers who witnessed the moment as it unfolded helped reconstruct the scene. The CNNVR team rented vintage cameras, built a set with 20 pieces, hired 40 actors, hair & makeup, wardrobe and used CGI effects to recreate the moment. With an introduction from Anderson Cooper, the project takes you right back to 1986 and that tragic day in history. The experience can be viewed on CNN’s Facebook page, CNN’s Android App and on the TimeLooper App. CNNVR is the network’s virtual reality newsgathering and storytelling operation. CNN was the first media outlet to live stream a major news event in virtual reality with the trailblazing project of capturing and streaming CNN’s Republican and Democratic Debates in the fall of 2015. Praised by critics for “flipping conventional wisdom on its head,” CNNVR has produced both domestic and international stories through the technology, including a front row seat to a political rally and memorials in the cities of Brussels and Paris.